I like fish, almost all kind. Here is a dukan recipe that I took it from here! Steam the carrots pieces for 5-6 minutes. Mix together 2 tablespoons of the oat bran with the chopped tarragon and 1 tablespoon with the chopped parsley. Season both accordingly. Dip the sea bream (or any other fish) fillet first into the corn starch, then into the egg, and finally into the oat bran and tarragon. Place on a baking sheet. 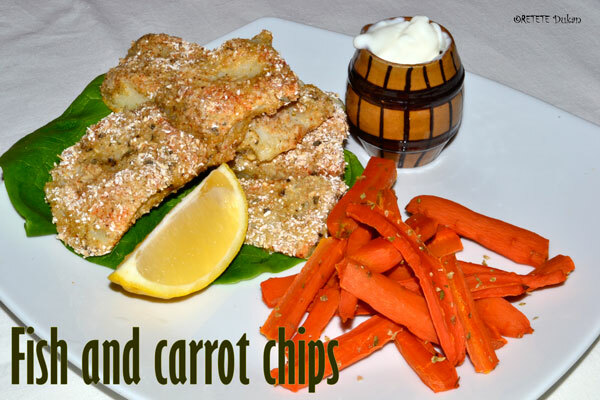 Toss the steamed carrots in the oat bran and parsley mix and place alongside the fish on the baking sheet. Bake for 12-14 minutes, until the fish is cooked through. 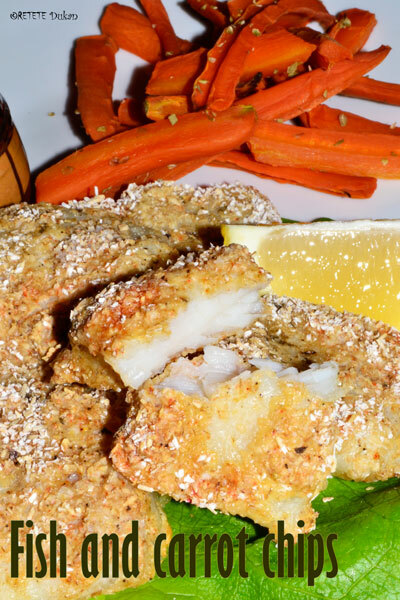 Serve the fish and chips with the yogurt mixt with the minced garlic and some salt on the side.